Love his K%, but that BB% is abysmal. If he can get to ~10%, he will be a fantastic player. I hate to be a negative Nellie. I love him as a fantasy owner, but I am so worried as a yankee fan. He’s about even tonight. Given up 2 and added 2. Really need to find a safe position for him next year. His fielding has regressed if anything. His hitting keeps getting better. 35-115 .300 potential? The elite hitters do both. He's a great player, he just needs to raise that BB% and he'll be good to go. By the way, a 10% walk rate is considered average. its possible to increase walk rate with experience tho. look at tim anderson. went from 2.1% last year to 5.3% this year. i know 5% isnt great but he more than doubled his BB% year over year. runaway ROY in AL. hes probably only behind Acuna in all of baseball for rookies. funny how baseball works....this guy was only in the top 25 of 1 prospect list before the season. I'm not so sure about that. Is he even the best rookie on his team? Torres beats Andujar in OPS, OBP, wOBA, wRC+ and ISO. They're almost tied when it comes to HR and WAR, even though Andujar having almost 140 more AB. That’s now. When he said it, that wasn’t the case. A lot has changed in the past 6 games. Torres has been on fire. 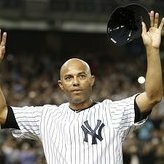 IMO, Torres is definitely RoY over Andujar, he has shown to be a better all around baseball player. We will see about Ohtani though. Andujar should be third in the end. Still 25 or so more games to decide. Like we saw a lot can change in a little time. Personally, Ohtani is my RoY. Only 49.1 IP and 238 AB, but still putting up a 2.9 WAR. He leads al AL Rookies in OPS, OBP, ISO, SLG, wOBA, and wRC+. Crazy. 3-4 with 3 runs scored and an rbi today. Anyone see why he came out of the game? He was taken out after 5 innings. Aaron Boone is a dope. Hechavarria started the bottom of the 6th at 3B. So no that's not after 6 innings. Andujar was also not set to leadoff the next inning, if he was that'd be even more stupid. No you said after 6 lol. All of this is in writing you can't make it up as you go. Andujar is also a far better hitter. The reason it made more sense was because Andujar just made the out in the top of the 6th, but you thought he was set to leadoff the next inning which is funny. where are u guys ranking him among 3b next year?